If you’re thinking about redoing or updating the exterior of your home, vinyl siding is one option you should definitely consider. With many potential advantages over other materials, vinyl can be one of the best options to use for your house. 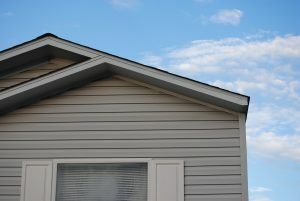 One of the most important reasons to choose vinyl siding can be its durability. The exterior of your home goes through a lot as the seasons change and weather takes its toll. Unlike other materials such as wood, vinyl is weatherproof and shouldn’t break down from exposure to the elements. With just a little effort on your part, you can keep your vinyl looking fresh simply by cleaning it now and again. Vinyl siding can save you money in the long run by eliminating the need to repaint your home. Other forms of siding need to be touched up every few years in order to keep them looking good and functioning well, but with vinyl, you can simply wash any dirty areas and move on. Vinyl can also provide a lot of much-needed insulation to your home, cutting back on bills by keeping the interior at a more regulated temperature. Vinyl can be available in a wide selection of different colors and styles. Its versatility means that you don’t have to sacrifice the look you want and can still enjoy the advantages that come from switching from wood or another material. While you may lose the ability to repaint your home a new color, it can be worth it if the siding you have keeps looking fresh and well-kept for years to come. While it may cost you some money upfront, choosing vinyl siding can pay for itself in the long run. Hiring a professional to do the installation job can be a great way to ensure that it gets done right so that you can get all the benefits of new siding without any unneeded stress.